CINDY - is a 4 piece group from Auckland that was started by mistake after wanting to sound like the Beach Boys. We had some fun and don't sound like the Beach Boys. 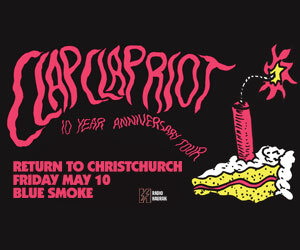 HARD TARGET ARE FROM AUCKLAND. DON'T HUNT WHAT YOU CAN'T KILL. 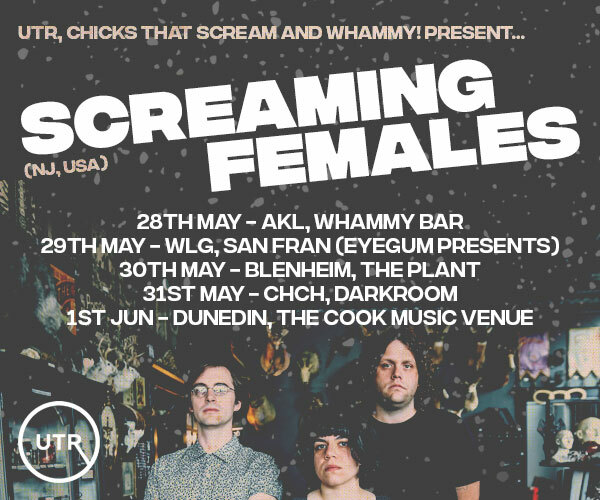 HA THE UNCLEAR, Alt-Pop/New Wave/Indie from South Dunedin based in Auckland. MAGIC FACTORY: If you're a fan of Creedence, the Stones or ZZ Top, you'll like MAGIC FACTORY. Even if you hate those bands, you might still find something to enjoy though admittedly it's unlikely. Magic Factory took a short hiatus after having a fine time at Gonerfest in Memphis and on the Golden Dawn stage at Auckland City Limits, but are back and pretty much the same as before, albeit with a slight reshuffle of the pack. They couldn't be happier to be playing Whammy!fest and look forward to a good times set of tunes that include the only song you're likely to have heard already (Mother Nature) and some new songs from their upcoming second album. NERVOUS JERK: Hailing from the working class back streets of Christchurch and practicing in a storage unit in the Woolston badlands is Nervous Jerk. A power pop trio settling into their fourth year as a band. 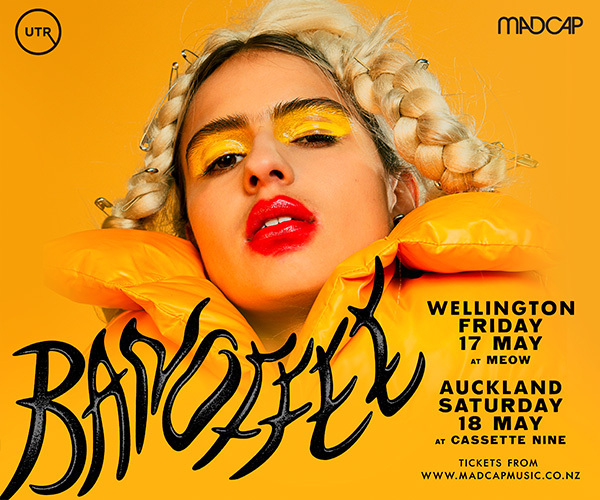 RANDA AKA Mainard Larkin is a rapper, and oddball based in Auckland, New Zealand. Upon graduating high school and realising he had no friends, Larkin began making bedroom projects under the name Randa. Whether rapping about Neopets, home cooked dishes or navigating life as non-binary trans masc individual, Randa will melt your heart quicker than an ice cream sandwich. SKILAA is the brainchild of Chelsea Prastiti and Michael Howell - good beats with a healthy dose of neo soul, hip-hop, alternative folk and improvisation, in addition to some thick vocal harmonies that draw inspiration from both African and Balkan singing traditions. The group recently released their first single 'Bluffin' off their upcoming EP. UNSANITARY NAPKIN are a staunchly political anarchopunk from Poneke Wellington, in Aotearoa New Zealand (members of Rogernomix, Downer Buzz and The All Seeing Hand), vomiting political rage like a sped-up Rudimentary Peni with the joyful energy of Devo and the anti-patriarchal vitriol of Emma Goldman. Unsanitary Napkin released a new 7”, “Orgasmic Capitalism”, which follows up their 12" Patriotic Grooves. Expect another line up announce in the coming weeks, and start preparing your costumes - it's Halloween! Whammy! Bar & Backroom! Two underground bars right in the heart of Auckland City - made with love by tour promoters, sound engineers, musicians and seasoned drinkers!